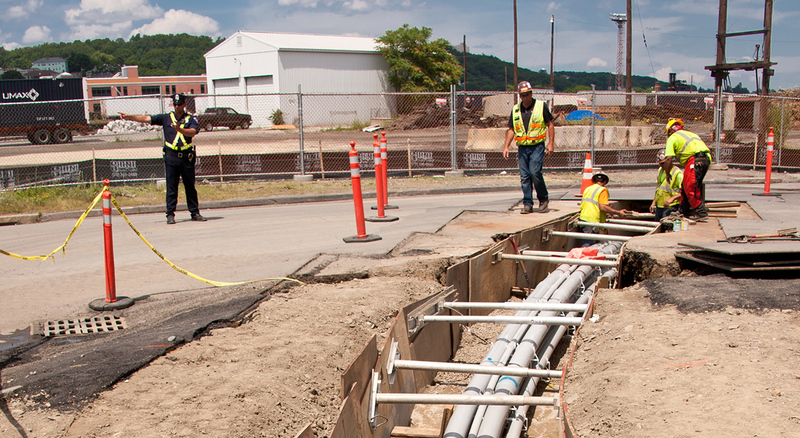 The Worcester 115 kV Underground Project spans 3.4 miles across Worcester, Massachusetts providing a reliable electric power source to meet the needs of the surrounding communities. To ensure the delivery of this transmission project, BOND was chosen to install 2.5-miles of 115kV UG transmission line, from National Grid’s Vernon Hill Substation, to Bloomingdale Substation. 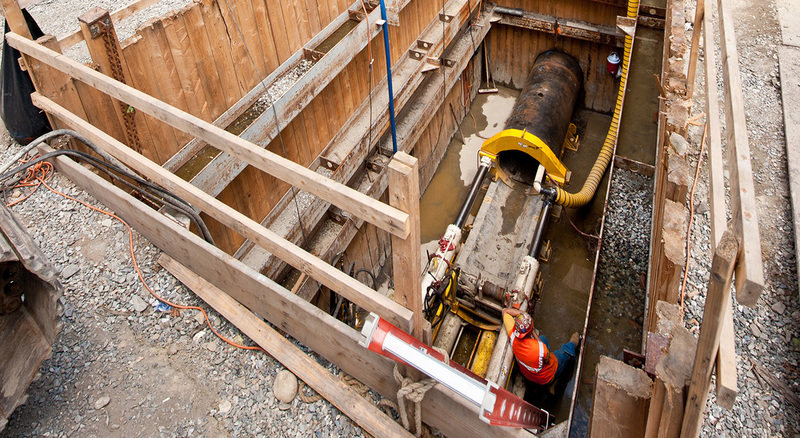 In addition to executing the trenching operation safely along a densely populated business and residential area route, an extensive amount of ledge removal was undertaken to attain proper depth. 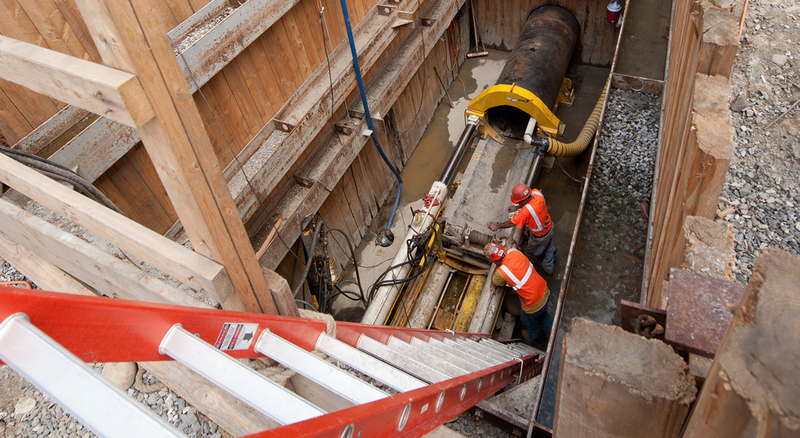 Other major work included a 42-inch pipe jacking under the active CSX / MBTA railroad spur line, as well as sidewalk and pavement restoration. 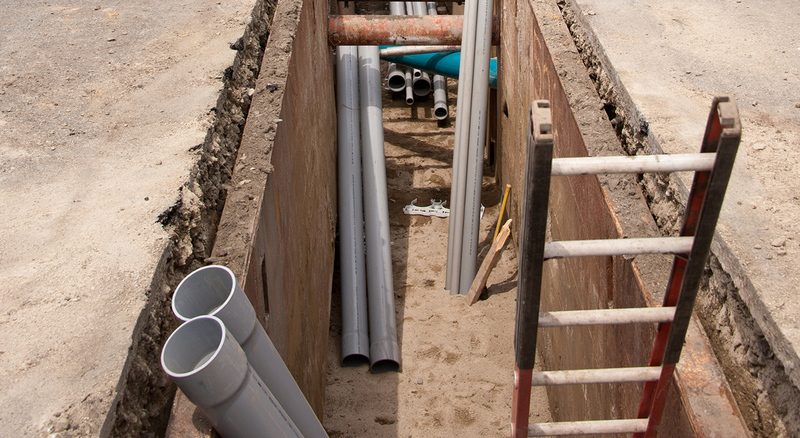 Existing spare ducts were utilized for the first 1-mile of the project with the remaining 2-miles requiring a new 6-way concrete encased duct bank and splicing vaults.